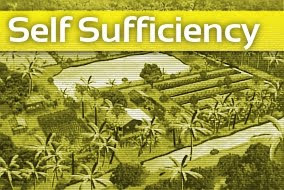 Alt Thai News Network ATNN : Is China Building a "Police State" or Countering Western-sponsored Terrorism? 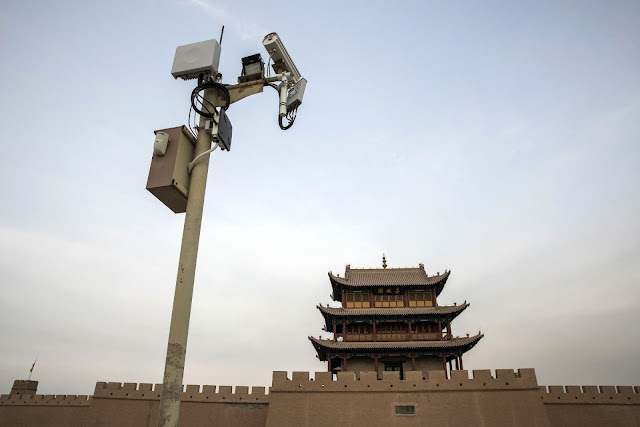 February 1, 2019 (Joseph Thomas - NEO) - Recent headlines across American and European news agencies have focused on the rise of a so-called Chinese "police state," specifically in regards to security infrastructure put in place in China's western region of Xinjiang. Articles like Bloomberg's "Inside the Vast Police State at the Heart of China’s Belt and Road" and the Economist's "China has turned Xinjiang into a police state like no other" depict Beijing's efforts as a "Muslim crackdown" and a "massive abuse of human rights." While such articles allude to the very real violence that has taken place in Xinjiang and elsewhere targeted by an extremist minority among China's Uighur population, it is portrayed as "resistance" by Western sources rather than terrorism. 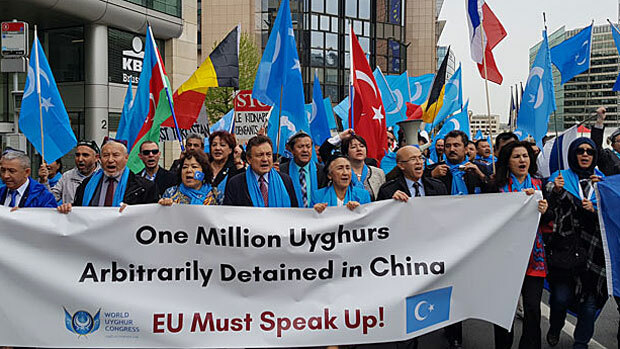 ...state-mandated drills are part of China’s suppression campaign against Uighurs, predominately Muslim ethnic groups whose members have periodically lashed out with riots, stabbings and other attacks in protest of a government controlled by the Han Chinese majority. In reality, Uighur extremists are terrorists pursuing unrealistic separatism encouraged by Washington, and doing so through extreme violence. The United State government via the National Endowment for Democracy dedicates a page to programmes it is funding in what is listed as "Xinjiang/East Turkistan," East Turkistan being the fictional name of the imaginary state separatists seek to carve out of Chinese territory. The inclusion of "East Turkistan" is all but an admission to US support for Uighur separatism. 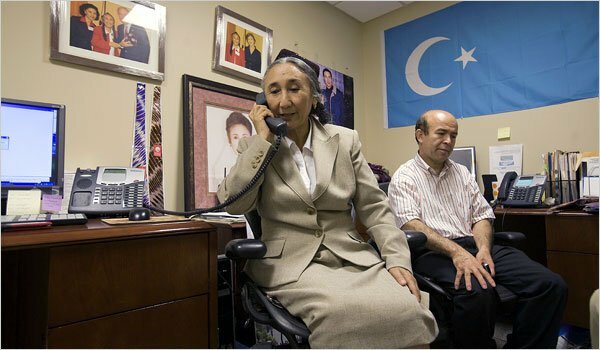 The "World Uyghur Congress" (WUC) is among the groups the US NED is funding. It openly promotes separatism. WUC is omnipresent in Western news reports, promoting allegations against Beijing regarding Xinjiang, yet WUC is actually based in Munich, Germany and Washington D.C.
WUC representatives such as Dilxat Raxit and Rebiya Kadeer are cited, making various unsubstantiated claims regarding China's treatment of Uighurs with Western news agencies often failing to mention their WUC affiliation or that the WUC is funded by the US government in articles. Stories like, "Chinese Police Order Xinjiang's Muslims to Hand in All Copies of The Quran," published by the US State Department-funded and directed Radio Free Asia network are based entirely on WUC claims. Further investigation would reveal the Qurans being collected were published in Saudi Arabia and deliberately rewritten to promote extremism. Newer versions printed elsewhere were not being collected. It is just one of many examples of the US intentionally undermining security in China, then intentionally misrepresenting China's attempts to respond to these growing threats. What Bloomberg describes as "periodically lashing out" has been more accurately presented even in the Western press, years before this latest disinformation campaign against Beijing began. In June 2012, six Uighurs reportedly tried to hijack a plane from Hotan to Urumqi before they were overpowered by passengers and crew. At least 31 people were killed and more than 90 suffered injuries in May 2014 when two cars crashed through an Urumqi market and explosives were tossed into the crowd. China called it a "violent terrorist incident". 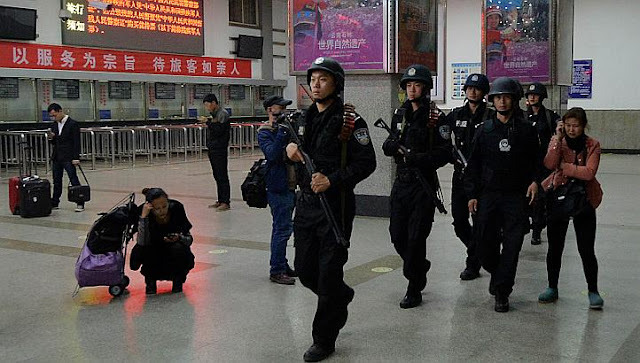 It followed a bomb and knife attack at Urumqi's south railway station in April, which killed three and injured 79 others. In July, authorities said a knife-wielding gang attacked a police station and government offices in Yarkant, leaving 96 dead. The imam of China's largest mosque, Jume Tahir, was stabbed to death days later. In September about 50 died in blasts in Luntai county outside police stations, a market and a shop. Details of both incidents are unclear and activists have contested some accounts of incidents in state media. Some violence has also spilled out of Xinjiang. A March stabbing spree in Kunming in Yunnan province that killed 29 people was blamed on Xinjiang separatists, as was an October 2013 incident where a car ploughed into a crowd and burst into flames in Beijing's Tiananmen Square. It can only be imagined what sort of security measures the United States or United Kingdom would put into place if such large scale and persist terrorism was taking place within their borders. It would also be curious to imagine what either nation would do if the separatism driving the violence was being openly promoted by a foreign state. For China, draining the swamps of ideological extremism is their method of choice and is the impetus behind the so-called "reeducation camps" being operated in Xinjiang. This systematic and brutal campaign of terrorism now being omitted from Western news sources is deliberate. Omitting this crucial context is meant to portray Beijing's reaction to years of deadly terrorism as irrational, oppressive and totalitarian. And even as the US and other Western nations promote this campaign of disinformation, stories are still slipping through, admitting to the serious and growing security challenges Uighur terrorism presents not only China but the rest of the world. Analysts are warning that the jihadi group Turkistan Islamic Party (TIP) in northwestern Syria could pose a danger to Syria’s volatile Idlib province, where efforts continue to keep a fragile Turkey-Russia-brokered cease-fire between Syrian regime forces and the various rebel groups. The TIP declared an Islamic emirate in Idlib in late November and has largely remained off the radar of authorities and the media thanks to its low profile. Founded in 2008 in the northwestern Chinese region of Xinjiang, the TIP has been one of the major extremist groups in Syria since the outbreak of the civil war in the country in 2011. The TIP is primarily made up of Uighur Muslims from China, but in recent years it also has included other jihadi fighters within its ranks. The article also discusses the threat of these terrorists transferring their experience back to western China. The article demonstrates two important facts; that Uighur "separatists" in Xinjiang are actually highly organised and dangerous terrorists, and that they are involved in armed violence not only in China, but around the world. The schizophrenic nature of US media coverage regarding Uighur extremism, portraying them as innocent victims of Chinese "totalitarianism" on one hand, and as a heavily armed bloc fighting alongside Al Qaeda and the Islamic State terrorists in Syria on the other, betrays the former as a means of geopolitically handcuffing Beijing's ability to decisively respond to the latter. By hindering Beijing's ability to react to a terrorist threat the US is actively encouraging, Washington hopes to give Uighur extremism the space it needs to take hold and undermine China's security indefinitely. Xinjiang sits at the geographic heart of Xi’s signature Belt and Road Initiative. It’s a trillion-dollar plan to finance new highways, ports and other modern infrastructure projects in developing countries that will connect them to China’s markets—and, skeptics say, put them in China’s debt for decades to come. The use of terrorism, shielded from security efforts by disingenuous humanitarian concerns to hinder China's One Belt, One Road initiative has become a common theme throughout Washington's strategy to contain China's rise upon the global stage. Understanding the truth behind Beijing's security issues in Xinjiang points out that it is the United States, not China, not only to blame for any unnecessary suffering Uighurs now face, but also working to undermine global peace and prosperity, not contribute toward it. Even if the wildest accusations made by the US against China in Xinjiang are true, considering what the scourge of foreign-funded terrorism has brought to nations like Syria, Libya and Iraq, would such measures be too extreme?